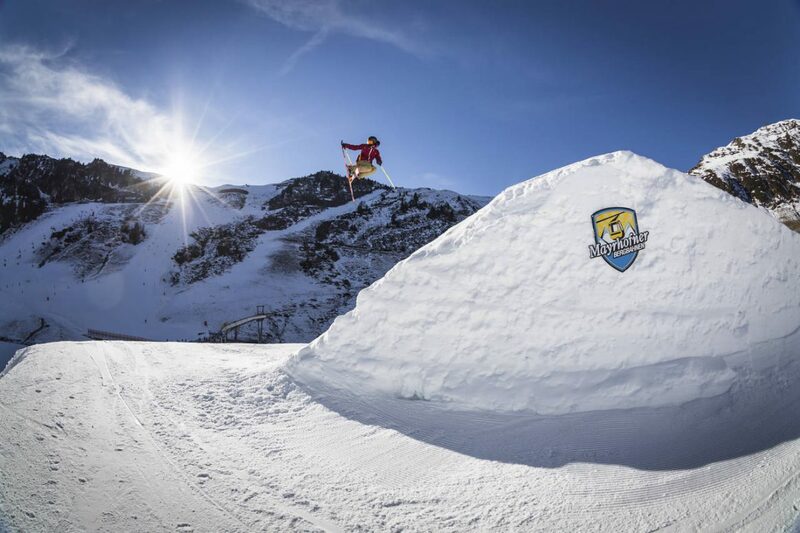 Vans Penken Park Mayrhofen: A Early Start into the Season! 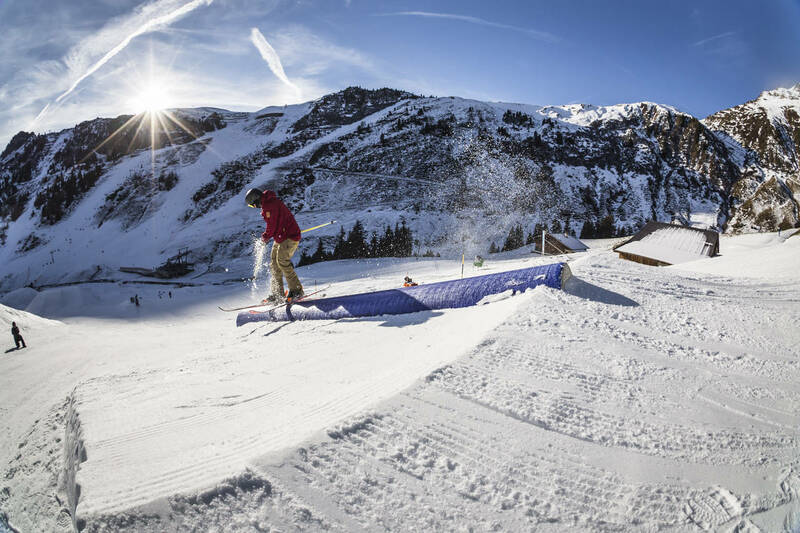 Once the word had spread that the Vans Penken Park was opening its doors on Wednesday (December 7, 2016) as one of the first snowparks in the Alpine area, several crews had already planned their trip to Mayrhofen in Zillertal valley. Among them was an eclectic bunch of riders from Bavaria, Salzburg and Styria accompanied by a media crew. While the shape crew was busy carving new jumps and jibs into the snow, the boys were conquering the fresh rails and the advanced kicker line. Saturday morning driving down the A12 highway – the ones in the know could already make out that several riders were on their way to the Vans Penken Park due to a bunch of sticker-plastered cars on the road. Lately the word had spread quickly that Mayrhofen is already shredable. The freeskiers Florian Zebisch and Alex Gernhäuser as well as the film and photo crew made up of Jonas Schnuerch, Florian Galler und Roland Haschka had already gathered at the valley station of the Horbergbahn as early as 8:30 am eagerly awaiting to get their first dose of fun at the Penken Park. Shortly after the “one-day crew” had arrived at the park it was shredding time. The shoot went down at the advanced kicker line (10m, 12m, 14m) and the first couple of tubes and rails. “The mountain railways and the shape crew are working hard on to the park, everybody’s busy shaping,” videographer Jonas Schnuerch points out and freeskier Alex Gernhäuser was obviously satisfied with his day at the park as well, “Everything just came together smoothly, the weather was perfect, I particularly enjoyed ripping the rail section. 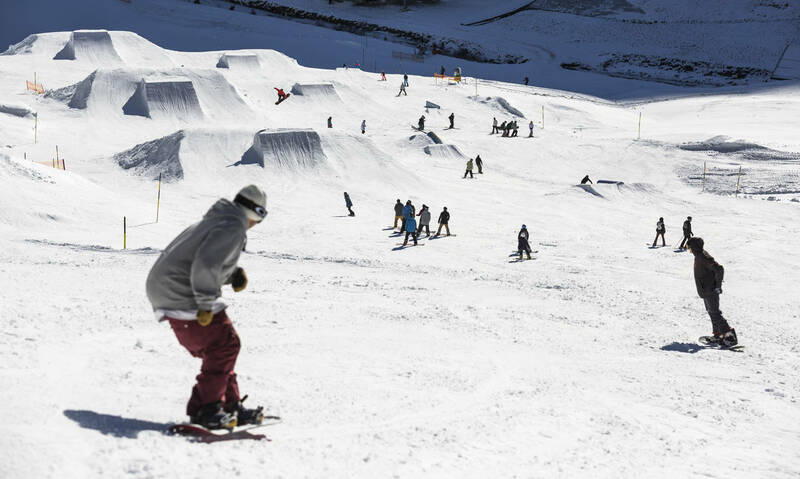 I had a great time with the guys and the park’s in brilliant shape considering the current snow conditions.” Just check out the boys’ Freeski Edit for some proper action! The set up at the Vans Penken Park looks prime! The Vans Penken Park Crew is giving everything to expand the setup in the coming days and weeks. For current updates on the Penken Park just visit Facebook, Instagram as well as the website of the Mayrhofner Bergbahnen and download the app for Android Smartphones and iPhones. New for you: the Penken Truth series – weekly video updates from the Vans Penken Park, stay true! Woodsy is back and this is a banger!